Bud trimming is without a doubt the most difficult job in the cannabis industry, if not one of the most difficult jobs period. Now it looks likely that bud trimmers are going to be replaced by robots. Boom Automation, a startup company based out of Boston, is in the process of developing a robot that would trim cannabis plants using cameras and computers. The prototype developed by Bloom can trim an 8-18 inch cannabis branch in under four minutes and is about 80% as accurate as a human bud trimmer. 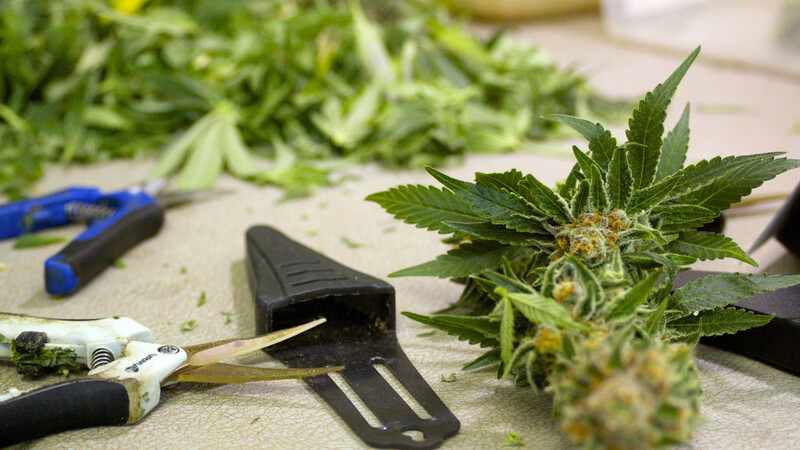 Is This the End of Bud Trimmers? Bloom Automation is planning on releasing their bud trimming robot commercially at the end of this year. The cost is currently projected at 20k. it’s unlikely that they will be widely used, especially by smaller growing operations. That is likely to change. If they can get the cost down and improve the accuracy of the robot, then chances are we will see them replace bud trimmers in the near future. CEO of Bloom Automation Jon Gowa, claims that their goal is not to take away anyone’s job. Instead, the goal is to “just improve efficiency and alleviate a significant pain point,” he said. The robot requires a human to operate it, so bud trimmers may not lose their jobs after all. Instead, the job description might just change to “robot operator.” That would certainly a less laborious job than bud trimmer. Business Insider points out that automation could stem the exploitation of immigrant bud trimmers, aka “trimmigrants.” Sexual assault of female bud trimmers is a serious issue in the fields, as is general mistreatment of workers. So, automation may do the industry more good than harm. Efficiency would go up, and prices would most likely go down, which would benefit you, the consumer. What are your thoughts? Do you think automation would be good for the cannabis industry? Share in the comments!